Miskin Organics is a skincare company full of artisanal potions individually hand blended in small batches in a small studio in Queensland, Australia. Inspired by the creator, Amanda's, own health and wellbeing journey, in search of nurturing her whole self, she found her passion for creating unique and indulgent potions for delectable skin. Conscious about the health of herself and the planet and knowing that our bodies absorb what we put on our skin, she taught herself about the attributes of organic plants and botanicals and how they can benefit and support natural healthy skin. 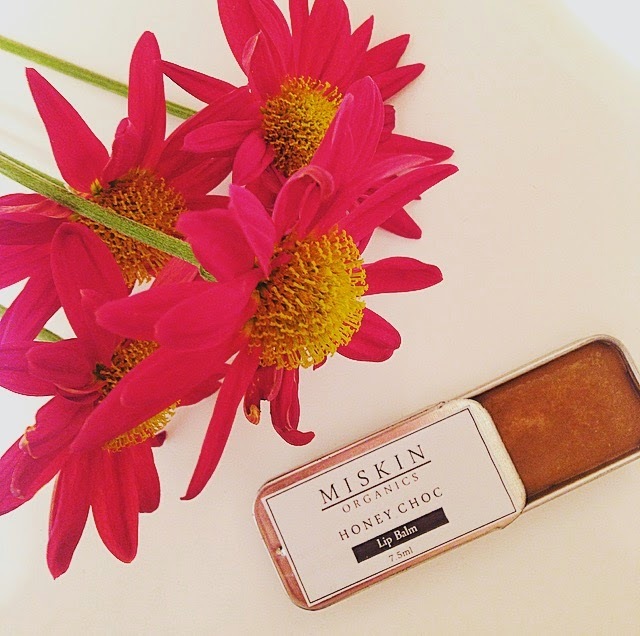 Miskin encourages you to take time to connect to yourself, indulge and enjoy a pleasurable skin ritual. "Nutrient rich, organic botanical's are chosen for their calming, regenerating & powerful antioxidant properties, while protecting the skins moisture balance, to restore visibly radiant skin. Effective and innovative vitamins and minerals (bio actives) are combined at optimal concentrations to visibly repair protect and prevent accelerated skin aging and maintaining the appearance of youthful looking skin. These indulgent formulations create vibrant synergies specifically targeted to individual skin concerns that nourish and balance, giving you visibly glowing healthy skin." 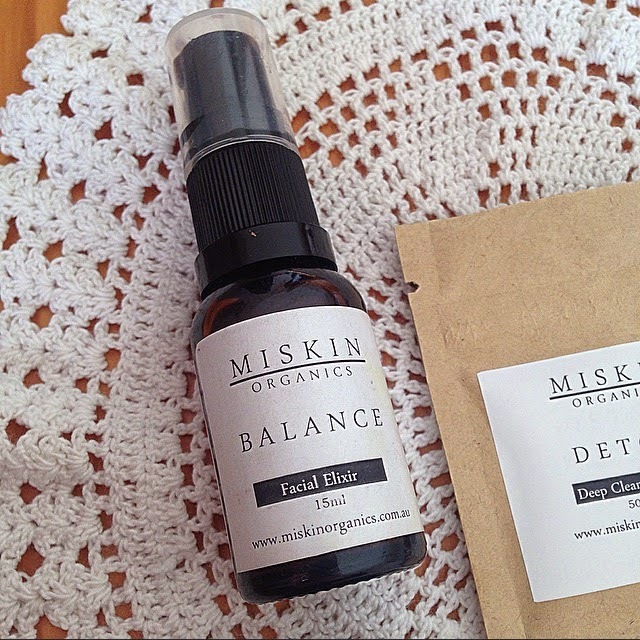 I was recently lucky enough to try out the full range of Miskin Organics products. I tested them over a four week period, and will share my thoughts below. I used this cleanser as my first cleanse of a night, before my usual gel cleanser. I found that it removed makeup like a dream, including my waterproof mascara. It has the consistency of a combination of gel and oil, and I loved massaging it in and feeling it hydrate my dry skin while deeply cleansing. This cleanser also has all the benefits of oil cleansing, but contains an emulsifier that turns it milky when water is added, allowing it to be completely removed. I would recommend it to those that want to enter the world of oil cleansing, but haven't been brave enough to try it yet. This product contains coconut oil, which I find to normally break me out, but I did not experience any breakouts from using this. Ingredients: Macadamia (Macadamia Ternifolia) nut oil*,Coconut (Cocos Nucifera) Oil *AOF BIO* (Glycerine, Almond Oil (Prunus amygdalus dulcis), Citrus (aurantium dulcis) fruit water, Sucrose Laurate. ),Castor (Ricinus communis) Oil*. I received samples of all three elixirs, and loved the way each felt on my skin, hydrating but not causing any breakouts on my acne-prone skin. They all smelt so amazing; herbaceous and calming, and I looked forward to using them daily. I received a full size of the balance elixir, which is best suited to my combo skin. It contains fabulous ingredients such as hemp seed, jojoba and ylang ylang to bring skin into balance. I loved the way this oil hydrated without leaving an oily sheen, penetrated into my skin quickly, and reduced the appearance of my pores. Ingredients (Balance): Hemp seed (Cannabis Sativa Seed) oil*, JoJoba (Simmondsia Chinensis) Oil*, Borage (Borago Officinalis) Seed oil*, Rosehip (Rosa Eglanteria) Seed oil*, Calendula (Calendula officinalis) flower infused sunflower oil*, Pomegranate (Punica granatum linn) kernel oil*,Blackcurrant (Ribes nigrum) seed co2*, Soy Lecithin*,Camomile (Chamomilla Recutita) Flower Extract co2*,Bisabolol (Natural Alpha-Bisabolol), Calendula (Calendula officinalis) flower extract co2*,Rosemary (Rosmarinus Officinalis) leaf extract co2*,Ylang Ylang (Cananga odorata) Essential oil*, May Chang*(Litsea Cubeba) Essential oil*. This is my favourite product from the whole line. It comes as a powder mask that can be mixed with water, or any fluid you wish. I leave it on until it starts drying. I love this mask! I apply it weekly, generally on a day that my skin is inflamed and I have an active acne outbreak. I notice, particularly the morning after, that my skin looks clearer and my blemishes have decreased in size. 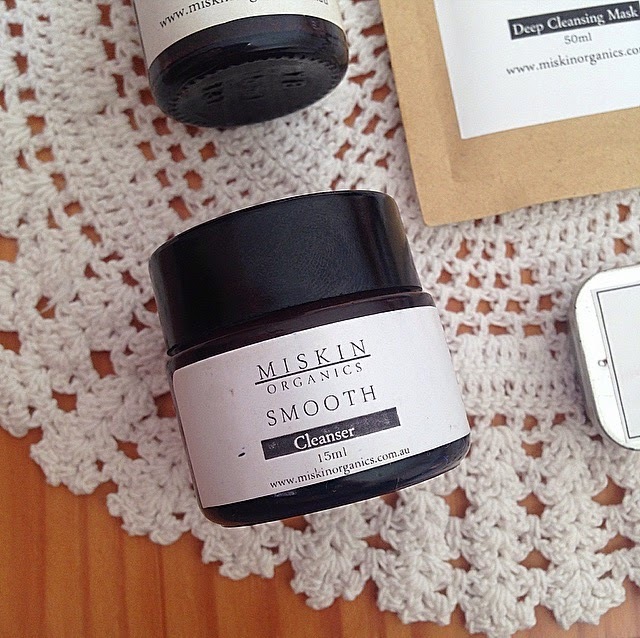 This mask contains some of my favourite skin care ingredients including anti inflammatory zinc oxide, sulphur-rich blemish fighting MSM, circulation boosting vitamin B3, and antioxidant rich matcha green tea. Ingredients: White Kaolin Clay, Rhassoul (Moroccan Lava) Clay, Oat (Avena Sativa) Flour*,Brown Rice (Oryza Sativa) Powder*, Green Kaolin Clay, Zinc Oxide, Pink Rose Petals*, Coconut (Cocos nucifera) Milk , Matcha Green Tea*, Bentonite Clay, MSM (methylsulfonylmethane), Vitamin (Niacinamide) B3. This body contains lush ingredients such as camellia, avocado and chia seed oil, and helped hydrate and nurture my dry skin. This body oil smells absolutely incredible, due to the Monoi De Tahiti Oil, which is produced by soaking the petals of Tahitian Gardenias in coconut oil. For this reason, it can also be used as a light fragrant perfume oil, for those who prefer a light floral perfume, or cannot tolerate synthetics/strong smells. This lip balm contains amazing ingredients such as avocado, cacao butter, raw honey and calendula to keep lips naturally healthy. I find the slim tin of this lip balm to be the perfect shape for my pocket. It leaves my lips hydrated without a waxy feeling, and tastes delicious; the perfect combination of honey and chocolate. Ingredients: Coconut (Cocos Nucifera) Oil,*Avocado (Persea Gratissima) Oil,*Beeswax (Cera alba)*,Cacao Butter (Theobroma Cacao Seed Butter. )*, Castor (Ricinus communis) Oil*, Calendula (Calendula officinalis) flower infused in sunflower oil*, Raw Honey*,Soy Lecithin*, Vanilla Extract, Raw Cacao*, Vitamin E.
* Certified Organic Ingredients, ^Sustainable farming non GMO, 100% chemical free. 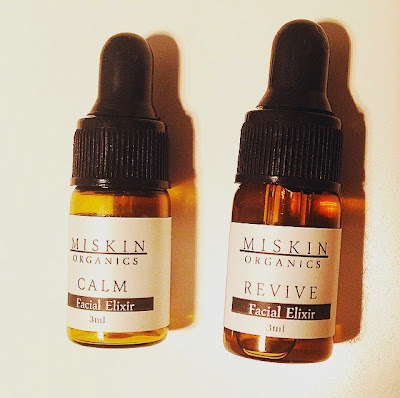 I really encourage all of you to try out these incredible skin treats by Miskin Organics. You can buy samples or full sizes here. I'd love to try the Balance Facial Elixir, Detox Mask, Silk Body Oil, and the Honey Chic Lip Balm.